Product samples will be the death - and/or financial bankruptcy - of me! 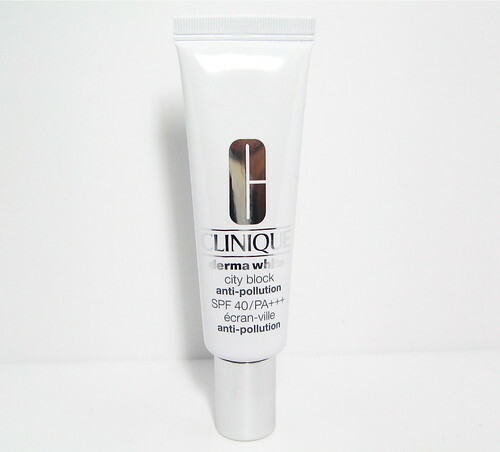 I fell in love with many a Clinique product just because I tried one of their devious sample sizes. You think, "Oh, I like what I'm using already, but I guess it wouldn't hurt to take a gander at this new tester size I have." Before you know it, boom, you're buying a product worth 2 gs. At least, you already know that it's totally worth it. 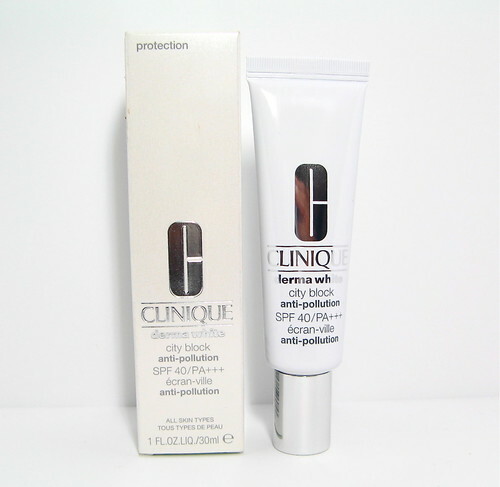 So that's how I discovered the Clinique Derma White City Block Anti-Pollution SPF40 PA+++ (P2,045). I got a sample of it from one of Clinique's gift pouches, not really expecting that it would be The Sunblock. There are other City Block versions available, but I find that they break me out so I never got around to buying them. Not the Derma White though. This works so well on my skin and I've been using this since May! Has SPF40 PA+++, so it offers pretty good sun protection. NO BREAKOUTS. I don't know what's up with sunblocks, but most of them give me pimples - if not immediately, they do eventually. Even with the high SPF number, it's not sticky or greasy. 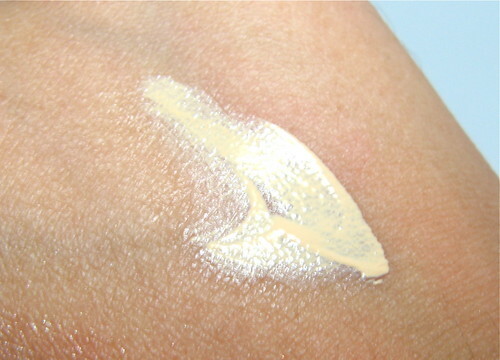 It dries quickly as soon as you spread it around and feels light on skin. It's super easy to blend, as well! 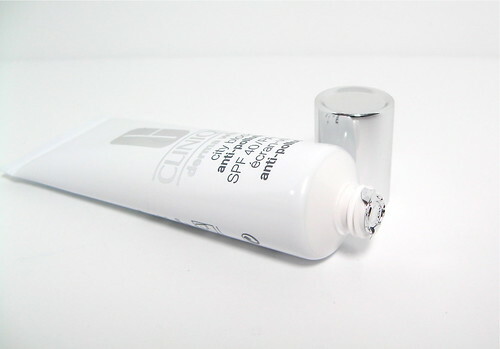 It's actually a great makeup primer. 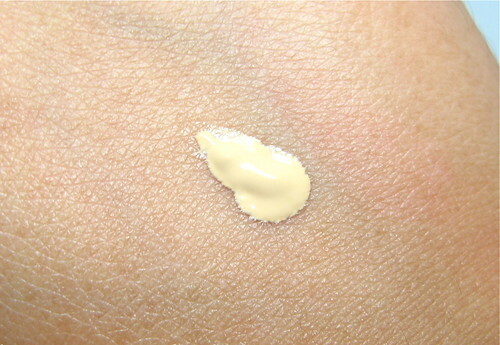 It has a dry texture, perfect for foundation to stick to. Has nice oil control! 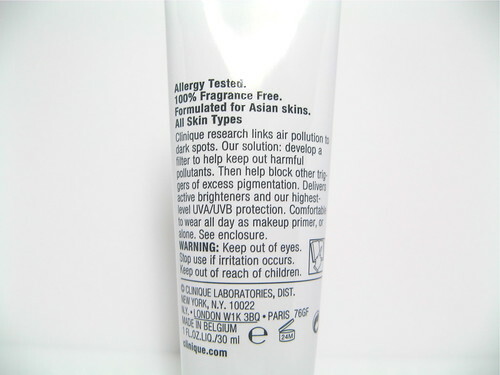 I have oily combination skin though so this may not work for really oily girls. No considerable white cast that I noticed. 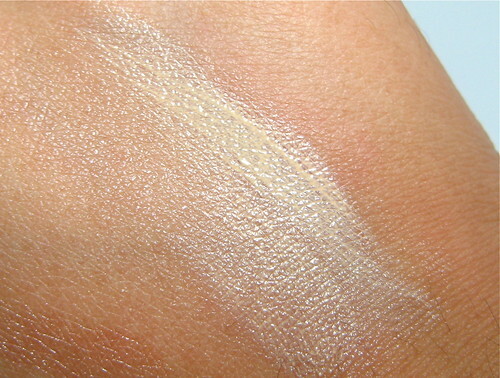 There are also no white streaks, unlike other sunblocks. A little goes a long way, really. A pea-sized amount is good for the whole face. I've used a 5ml sample for a month before it ran out! Nothing! Well, ok, it's rather pricey at P2,045 for only 30ml but I'm willing to look beyond it since this product works on my skin. I hope I don't need to remind you that you NEED to wear sunblock everyday! 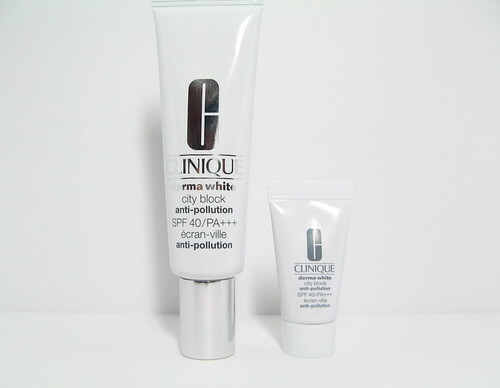 The Clinique Derma White City Block Anti-Pollution SPF40 PA+++ is a great choice if you're looking for one. I'd say that it would work for oily to combination skin. 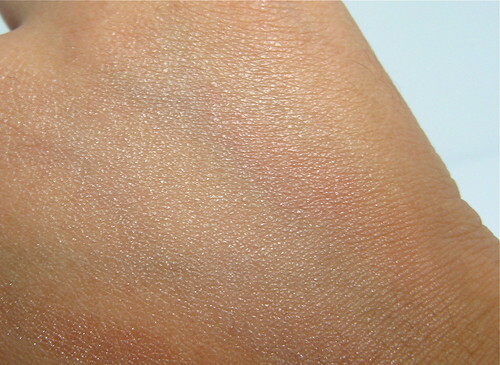 Dry-skinned girls won't appreciate this so much because of its dry texture; they need a richer sunblock or they need to use a separate moisturizer underneath. So yes, it's a great daily sunblock that I feel keeps my face protected from the sun and city pollution - it's like a solid barrier, but not an uncomfortable one. I love it! I never leave the house without it. I'll definitely buy it again - if I don't find a better one, of course!